Glenn Wilson was born to Native American and European parents in the early 1950s in Orlando, Florida. His father’s affiliation with the Air Force gave Glenn his first taste of martial arts. After living in Spain for many years, the family moved back to the United States, spending time first in Florida, then Texas and back to Florida. Shortly after his 9th birthday, Glenn witnessed a judo demonstration, which would change his life forever. But his father, a judoka, would not let him train until he proved to be more disciplined. On Glenn’s 10th birthday he began what would become a lifelong devotion to martial arts. He started in Kodokan Judo and then moved on to the Kwon styles of Korea. When he was 15 he witnessed a Kenpo demonstration that fascinated him more than anything he’d ever experienced. The smooth, fluid and extremely powerful techniques mystified the young martial artist, who to this day holds a major reverence for its curriculum. 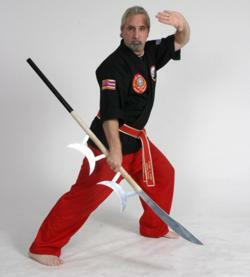 Glenn studied the various Kenpo disciplines of Tracy’s Kenpo, Shorinji Kempo, Kongo Do Kenpo, Chinese Kenpo and finally a style that would stay with him for life – Bok Leen Pai Kenpo. He made the natural transition from his Kenpo roots to the various studies of Chuan Fa. Glenn trained in Gong Yuen Chuan Fa, Lo Han Chuan, Moi Fah Chuan, Five Animal methods, White Crane, and – Pai Te Lung Chuan of Pai Lum Tao – a style that captured his imagination and gave new meaning to his martial arts pursuits. The internal influences that would help him center his life and training were practiced in Pai Lum Tao’s systems of Pai Yung Tai Chi, Kuan Yin Chi Kung and Chin Kon Pai Meditation. Glenn’s life would change for the good in 1974 when he went from the private outdoor (very secluded) training of Master Jim McIntosh to being accepted as a disciple of martial arts legend Great Grandmaster Dr. Daniel Kane Pai. Glenn was brought into the Pai Lum Tao System at the rank he held at the time – a third higher level. Five years later Dr. Pai elevated Glenn to Master and named him head of his family of Pai Lum Tao martial arts. Several years before Dr. Pai’s passing, he and his disciple, Glenn, formed the White Dragon Warrior Society. The formation was designed to preserve the traditions of Pai Lum Tao, share and strengthen the system and legitimize rank among the families. Dr. Pai served as the Chairman of the Board and Co-Founder, while Glenn was Vice Chairman of the Board of the White Dragon Warrior Society, Inc. (after Dr. Pai’s passing Glenn became Chairman of the Board), President of Glenn Wilson’s Fire Dragon Academies, Inc., and Head Coach of the Wilson’s Warriors Competition/Demonstration Team. Great Grandmaster Pai died in 1993. This left Grandmaster Glenn C. Wilson in charge of the Society they formed – the White Dragon Warrior Society – as well as Senior Master of his “own” Family of Pai Lum Tao. Glenn Wilson is considered a grandmaster’s grandmaster. 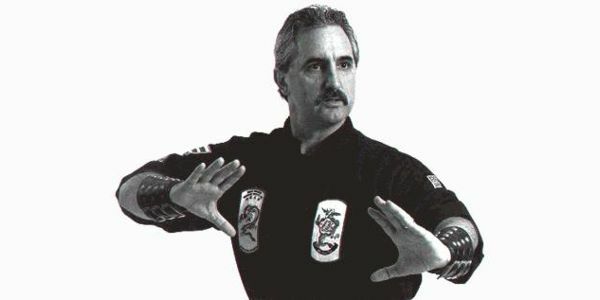 He is what a Grandmaster should be: He doesn’t talk the game, he lives the life – A Pai Lum Tao Way of Life.